“My brother and I started in July 25th of 1969. We are from the country, from Hart County, Kentucky. My brother left home when he was 17 and went to Illinois and worked at a cleaners there. I think it was in Joliet, Illinois. 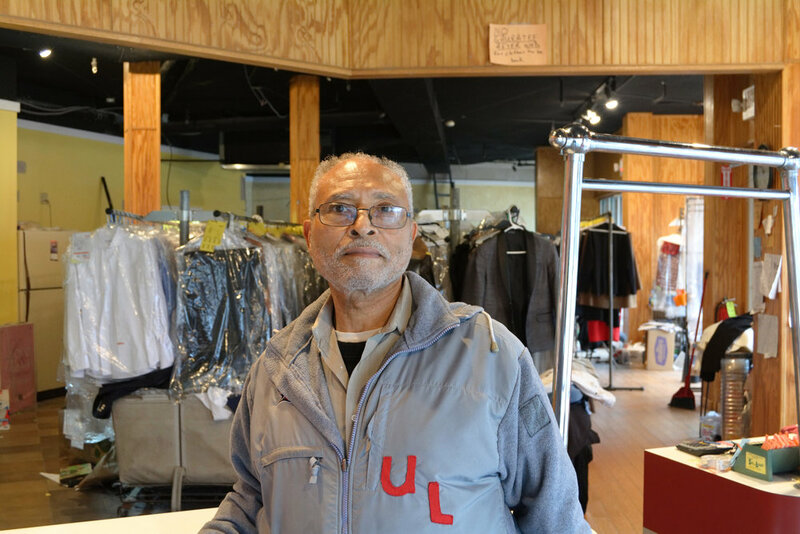 He figured that he wanted to get into the dry cleaning business and he came back to Louisville in 1965. He and I got together and went to the Small Business Administration and applied for a loan and we didn’t get the loan. In the meantime, in 1966, I went to dry cleaning school in Silver Springs, Maryland. I learned the intricate parts of dry cleaning. I learned everything from the spotting, the cleaning, the pressing, and even the customer service and customer relation. After that, I came back and worked with another gentleman for a couple of years. Then in 1969, we were able to get the SBA loan and we started in 1969. That was just about 50 years ago. What inspired me to go into business in the early and late 60’s was that there wasn’t many African Americans in business, especially in the West End of Louisville, where predominantly African Americans lived. Some of the leaders in the community were reaching out to people to try to start businesses and to be an influence in the community. It just happened that my brother and I always wanted to be an influence and be in business, for ourselves and to help others. It’s something that we dreamed and talked about, even as teenagers. We just happened to be at the right place at the right time because banks weren’t lending African Americans money to go into business. I don’t know if they felt that we weren’t stable enough or if there just wasn’t enough money. After the riots, the federal government allocated for African Americans to get loans to go into business. We were blessed to obtain a loan. The first location was a block south from here, before the renovation of this community. It was 3008 Wilson Ave. We were there for 38 years. We did our own work there. We moved over here in 2008. I encourage young African Americans to go into business. Be prepared and find what your interests are and work at it. Go into business for yourself and for future generations. Prove that African Americans can do it with hard work, the help of the good Lord, dedication, and preparation. Be prepared for all you’ve got. Study and learn about the field you’re going in. There’s going to be challenges but if you have a hands on approach, you’ll be able to figure it out. It requires hard work. That’s helped sustained us.